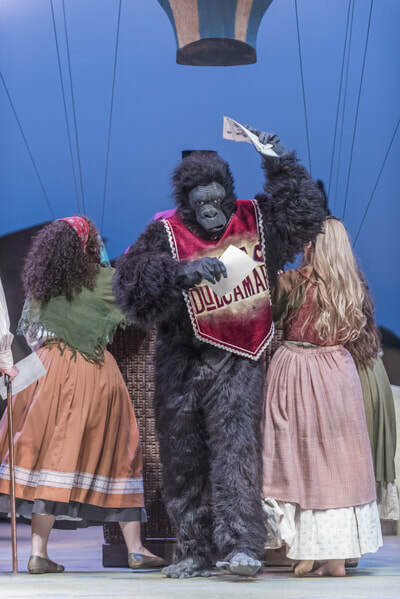 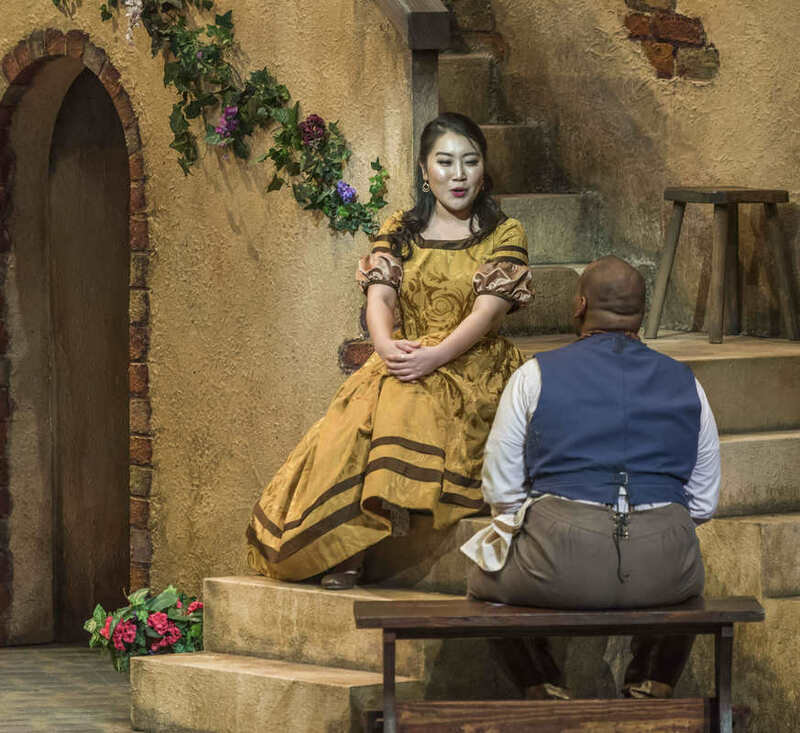 "The current world of opera has seen numerous productions of the classic masterpieces that seek to transport the action forward to the present day, or to a time and place more familiar to contemporary audiences. 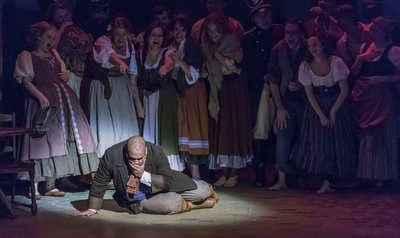 The “Las Vegas Rigoletto” currently at The Met, presents The Duke of Mantua as the Frank Sinatra figure, along with other members of his “Rat Pack.” Right here at Krannert Center we have seen “The Marriage of Figaro” updated to the Spanish Civil War with Count Almaviva portrayed, questionably in my opinion, as a Fascist officer. 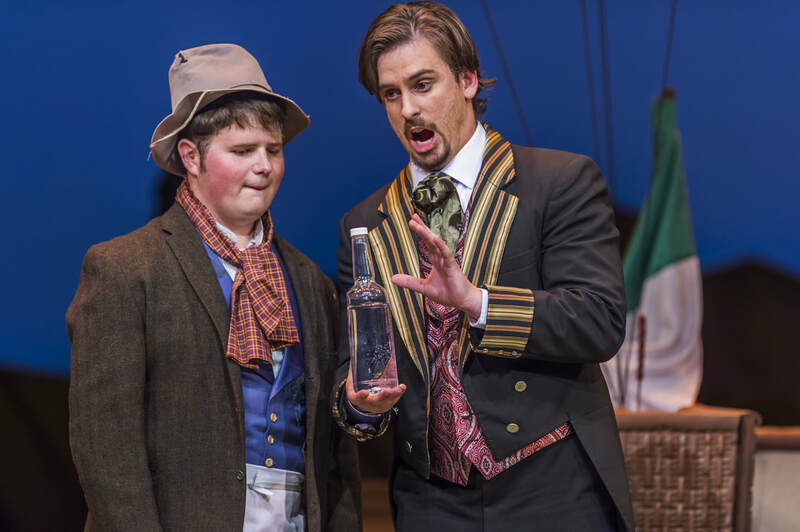 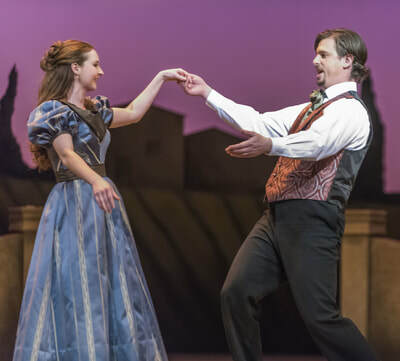 The School of Music’s last “Elixir of Love” from manyyears ago was transported to the Wild West. 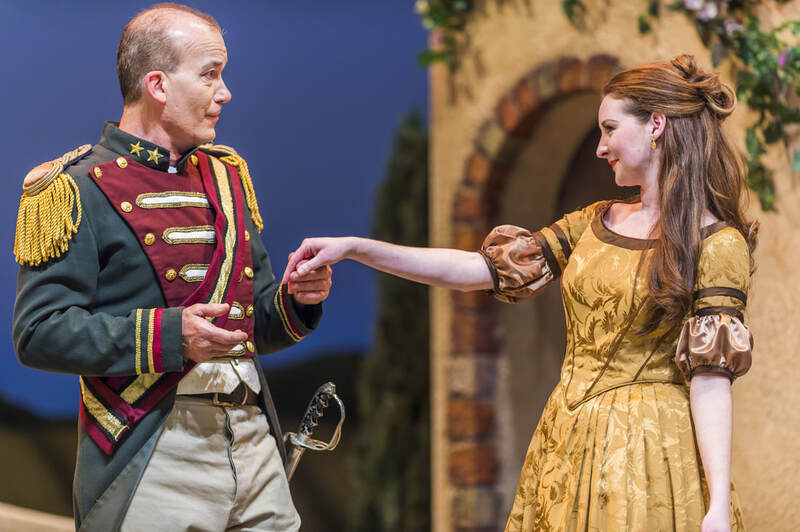 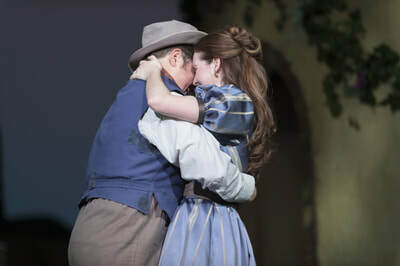 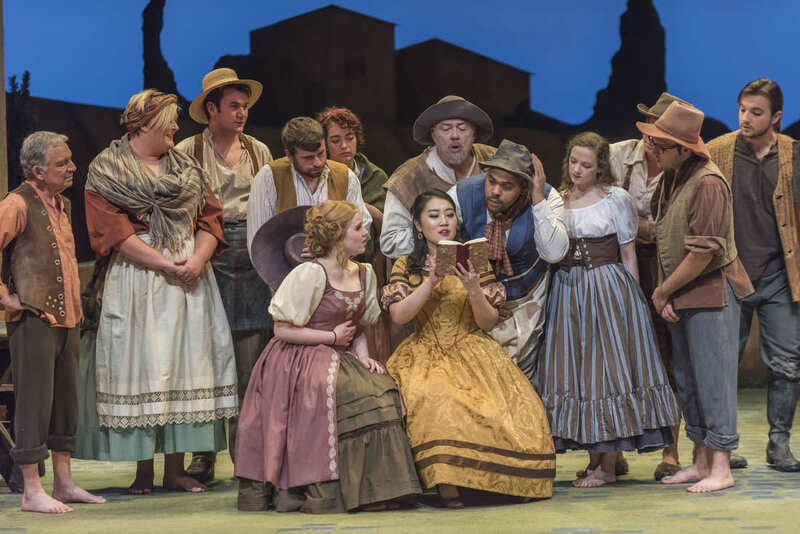 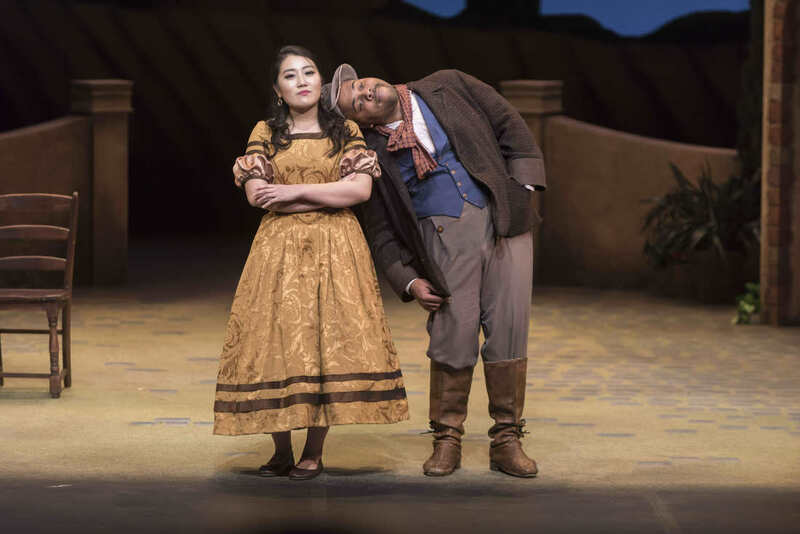 “L’Elisir d’Amore” is a charming and convincing musical portrait of life in a small Italian town in the early 19thcentury. To my mind, the only way to truthfully portray the characters and situations in this drama is to perform it in its original setting (modern-day heresy!) as the composer and librettist intended! 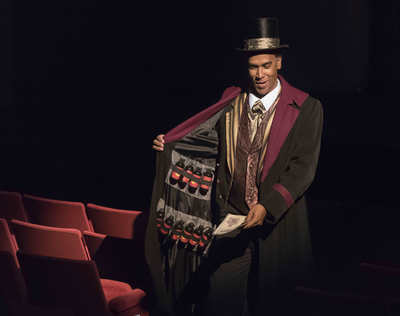 The show curtain, reproducing a lithograph of an early production of the opera, takes us immediately to this time and place, the world of Dr. Dulcamara, a clever, if rather seedy, mountebank, peddling common Bordeaux wine in fancy bottles as the universal cure-all. His name, translated into English as “sweet and sour,” gives us a clue to his shady character. 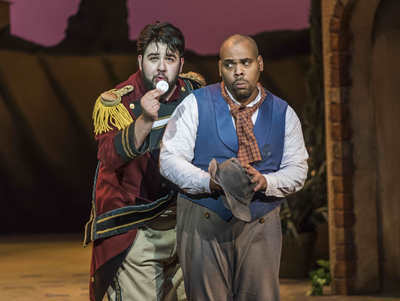 We will meet Adina, the daughter ofthe wealthy landowner whose house is just across the small piazza from the café in which our semi-hero Nemorino works as a waiter. Before long, we encounter the pompous sergeant Belcore with his small regiment, who is the perfect foil for Adina’s testing of the fortitude of Nemorino. A modern updating of the opera always falls short in creating a rationale for anything but this typical group of ragtag Italian soldiers.The hot air balloon was first displayed in France in1783. 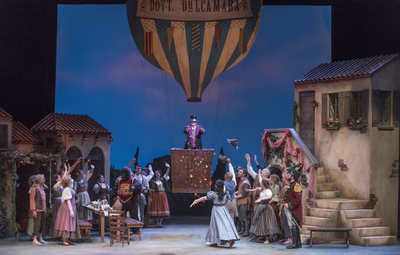 It is only fitting that Dr.Dulcamara, so “full of hot-air” to quote the American idiom, should make his entrance in this manner.At the beginning of Act II you will witness a little pantomime created in homage to the “Commedia dell’ Arte,” the very source of Italian “Opera Buffa.”The “Banda” or small onstage band is also inimical to Italian Comic Opera and we are especially fortunate to have members of the Marching Illini under the auspices of its director, Professor Barry Houser, playing at the wedding banquet that opens Act II. 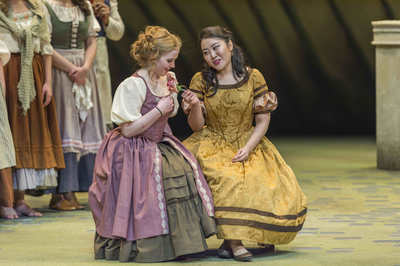 Few of these brilliant portraits by Donizetti could have come to life without the generosity of Phyllis Cline and IOTE. 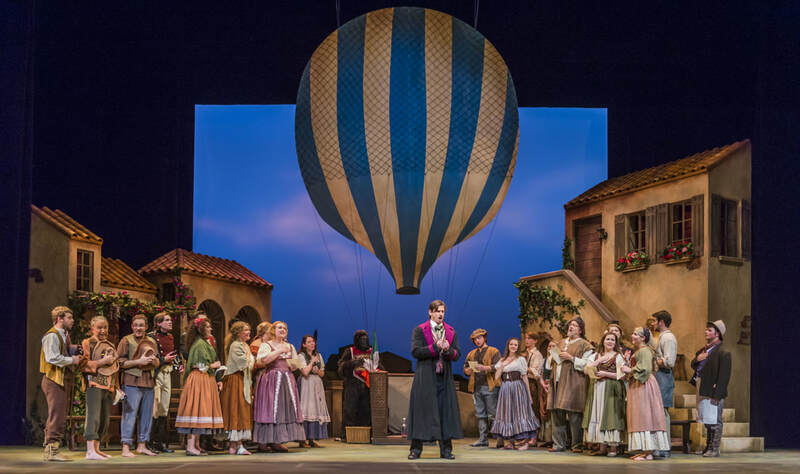 We thank them for their sponsorship of thisproduction, and for Phyllis’s enormous contribution to our opera productions over the pasttwenty-five years.It’s a long way from twenty-first century Urbana-Champaign to an early nineteenth century Italian village. I wish you a hearty “Buon Viaggio!” Enjoy the journey!" 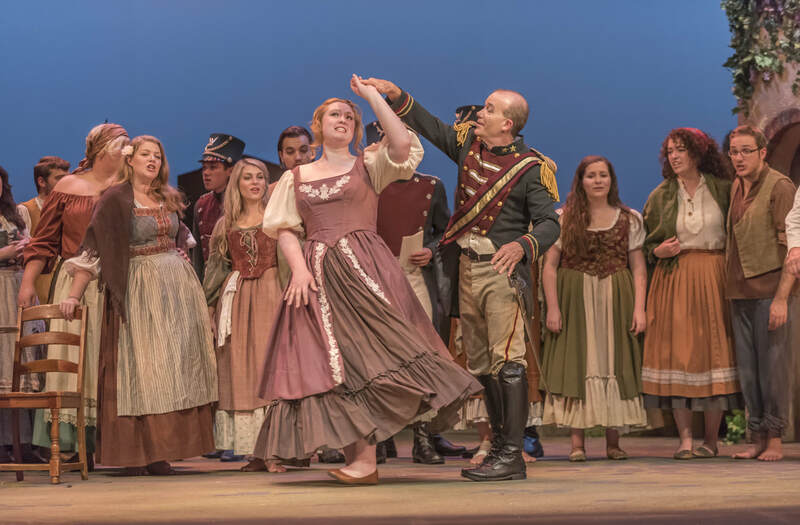 No kitchen sink, but just about everything else in Lyric Theatre's "Elixir"